The appointed referee for the Clare senior hurling final this Sunday Rory Mc Gann with his umpires, from left, Tony White, Ann-Marie Mc Gann, his sister, Tom Mc Gann, his brother and Padraig Kelly. Photograph by John Kelly. Ennis native Rory McGann will referee the 2016 Clare Senior Hurling Championship final. A member of the Newmarket club, it will be his first time in charge of the senior hurling showpiece in the county. 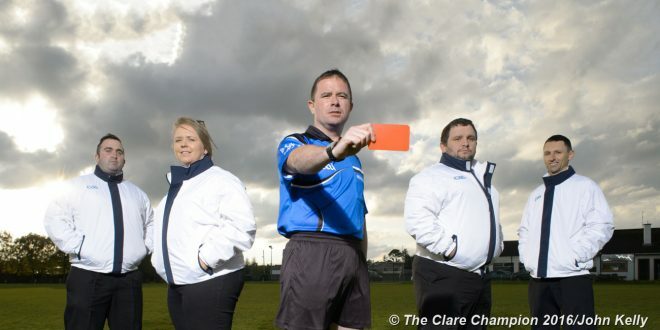 Rory’s sister Ann Marie will act as umpire, the first lady to do so at a Clare senior hurling final. 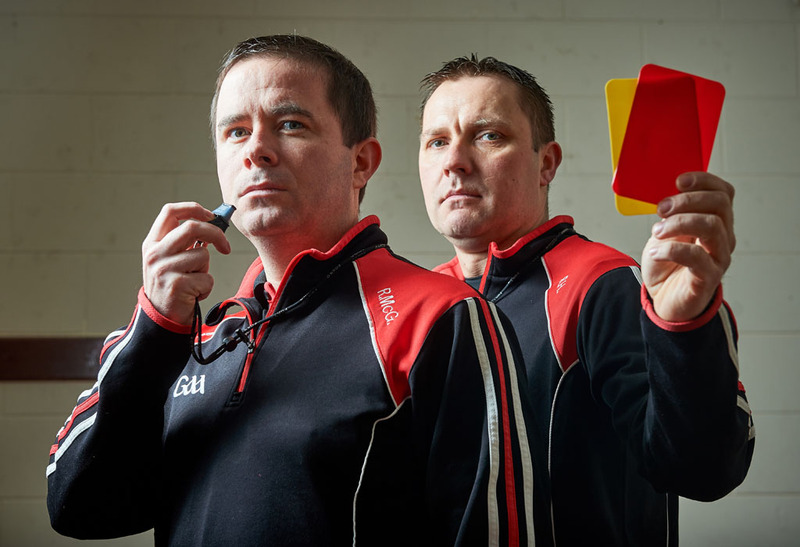 A club referee since 2004, McGann has taken charge of a number of high profile local games, including the U-21 A championship final earlier this year, the intermediate final last year, the U-16 A and U-14 Féile finals in 2015, the junior A and U-15 A championship finals in 2014 and the minor A and U-14 A championship finals in 2013. His appointment for Sunday means that he has officiated at county championship finals at every grade from U-12 upwards. Appointed to the Munster provincial panel in 2013 and the National Referee Panel in 2016, some of McGann’s appointments of note include the Munster minor final and Munster U-21 semi-final this year, the Munster junior championship final in 2015 and a number of national league and championship outings. This all led to his appointment as the sideline official for the All-Ireland semi-final between Tipperary and Galway. 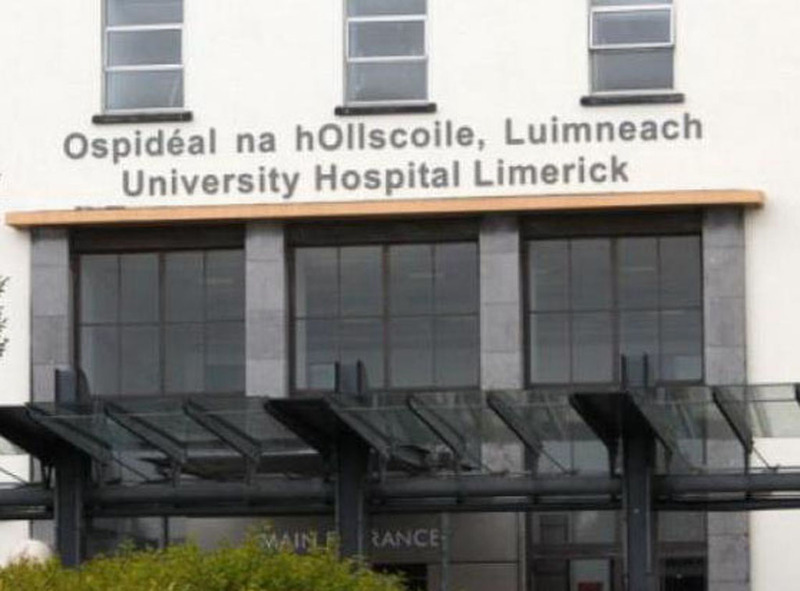 McGann is as a lecturer at Mary Immaculate College, Limerick. He is married to Theresa and they have four girls – Áine, Aoife, Aisling and Aoibhinn. Rory’s umpires will be his sister, Ann Marie (Doora-Barefield), Tony White (Banner), Padraig Kelly (Inagh-Kilnamona) and Tom McGann (Crusheen). His officials are Damian Fox (standby referee), Jarlath Donnellan (Wolfe Tones) and Chris Maguire (sideline).